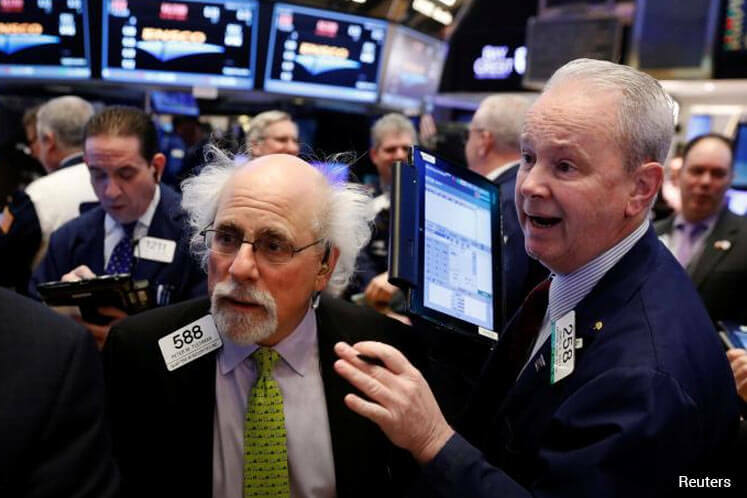 (March 23): Wall Street ended mixed after a choppy session on Wednesday as investors focused on President Donald Trump's struggle to push through a healthcare bill and snapped up stocks after a steep drop the day before. U.S. stocks in the previous session had suffered their worst day since before Trump's election as investors worried that the president's difficulty in overhauling healthcare was a sign he would also face trouble pushing through promised corporate tax cuts that have been behind the market's record-breaking rally since November. Stocks fell early in the day but later moved higher. Apple rose 1.7 percent and provided the biggest boost to the three major indexes. "Investors with a lot of cash used yesterday's downturn and the morning's weakness today as a buying opportunity," said Alan Lancz, president of investment advisory firm Alan B. Lancz & Associates in Toledo, Ohio. Trump and Republican lawmakers appeared to be losing the support they need for controversial healthcare legislation scheduled for a vote in the House of Representatives on Thursday. Losing or delaying the vote would bruise investors' confidence in Trump's legislative ability and his ability to keep his big promises to business. "If that happens, you could see a little bit of volatility in the market," said David Schiegoleit, managing director at U.S. Bank Private Client Reserve in Los Angeles. The Dow was weighed down by a 7.05-percent fall in Nike after the world's largest footwear maker missed quarterly revenue estimates. Oil prices touched four-month lows after data showed U.S. crude inventories rising faster than expected. The S&P 500 has gained 10 percent since the election, spurred mainly by Trump's agenda of tax cuts and infrastructure spending, but high valuations remain a concern. The benchmark index is trading at about 18 times expected earnings compared to a 10-year average of 14, according to Thomson Reuters Datastream. The Dow Jones Industrial Average declined 0.03 percent to end at 20,661.3 points, while the S&P 500 gained 0.19 percent to 2,348.45. The Nasdaq Composite added 0.48 percent to 5,821.64. Seven of the 11 major S&P sectors rose, with the technology index's 0.8 percent gain leading the advancers. The financial sector, which on Tuesday suffered its worst daily drop since June, lost another 0.2 percent. Snap Inc jumped 9 percent. The owner of messaging app Snapchat received a second analyst "buy" rating following a red-hot public listing this month. Sears Holdings slumped 12.31 percent after the retailer warned on Tuesday about its ability to continue as a going concern after years of losses and declining sales. Advancing issues outnumbered declining ones on the NYSE by a 1.18-to-1 ratio; on Nasdaq, a 1.33-to-1 ratio favored decliners. The S&P 500 posted 12 new 52-week highs and 14 new lows; the Nasdaq Composite recorded 22 new highs and 87 new lows.